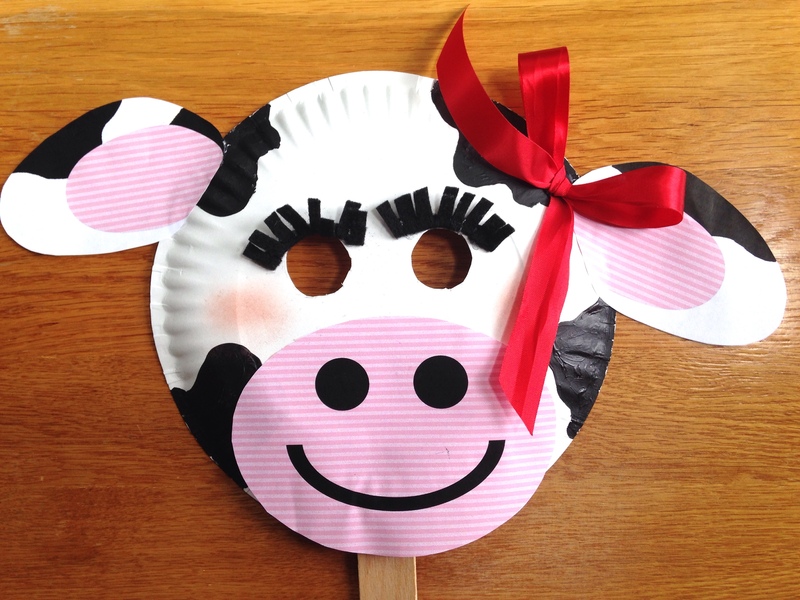 CHICK-FIL-A’S COW APPRECIATION DAY IS COMING, AND WITH THESE PAPER PLATE COW MASKS YOU’LL BE SET IN JUST MINUTES ! Chick-fil-A’s yearly event, Cow Appreciation Day, is Tuesday, July 10, 2018. It’s a great time to get together with friends & family, put some cow gear on and head to Chick-fil-A for some free food! We sisters have had SO much fun doing this in the past and are looking forward to being part of this again this year. ???? We’ve got a whole “Cow Family” for ya! 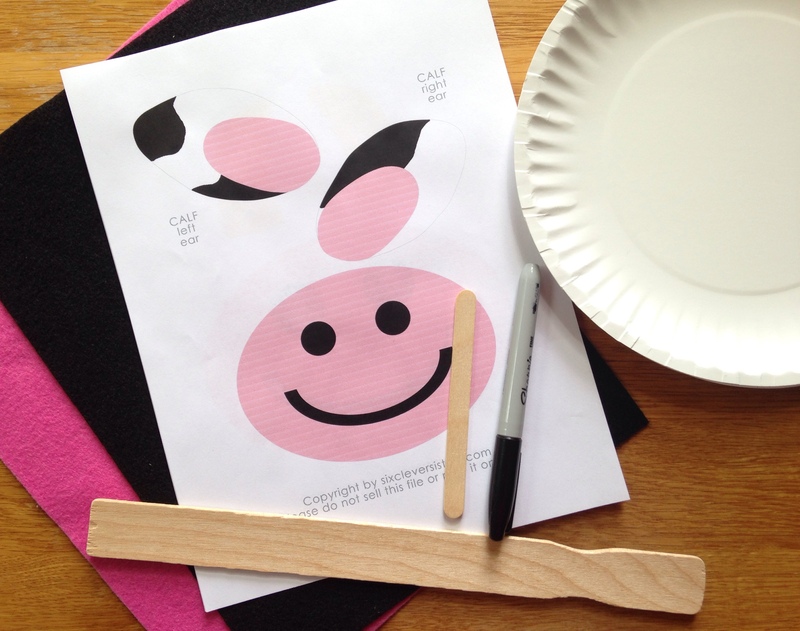 With just a few craft supplies and this free printable, you can make these paper plate cow masks, and you’ll be all set to go in just minutes! Last year we sisters wore these adorable ear headbands made with felt and foam! DON’T HAVE ANY PAPER PLATES? TRY THESE PRINTABLE COW MASKS INSTEAD! “Cow Appreciation Day is our day to show our customer appreciation and honors our iconic Eat Mor Chikin® Cows. Can I redeem the free entrée through the Chick-fil-A One app? Which entrees can be redeemed? Isn’t this “Cow Family” so cute?! I’ve given you the ideas I came up with, but let your creativity come alive! We love when you share your projects with us on social media! Just tag us: Instagram #sixcleversisters or Facebook @sixcleversisters ! ???? We’d LOVE to see your cows! *NOTE: You’ll be working on the bottom of the plate. Start by making the holes for the eyes. A spool of thread came in handy for me; I traced around it for my circle size, which was about 1.25 inches. You should do the calf eyes a tad bit smaller. TIP: Once you get one cut, you can simply place the paper plate on top of the next plate and trace. Then, paint some black spots. Or, a Sharpie would work great, too. Using a glue stick or rubber cement, attach the ears and nose. Decorate it as you desire and hot glue the paint stick to the back of it. If you have little ones who don’t want to hold the paint stick, you can simply add some elastic string. Then it’s something they can just wear around their face and their hands can be free. I cut a 1″ strip from black felt and fringed it for eyelashes. From your fringed strip, you can just cut an amount that looks right for the size of your eye. I hot glued it above the eye, then added a few dots of hot glue on top of that felt and pushed the eyelashes up some. Add a little blush and a bow and you’re set! Cute or what?! I simply added a felt flower . . . all set! I added little horns. You can take a normal size popsicle stick and break it in half, and they are perfect size for horns. My other accessory was a cute bow tie. I took a piece of cardstock about 4″ x 6″ and added diagonal stripes with a Sharpie and folded it back and forth, then added a knot. Ta-da, there’s a bow tie! Simply hot glue that to your paint stick. So . . . go eat more chikin!! ???? And enjoy every minute of it!